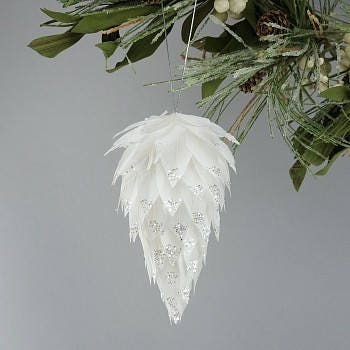 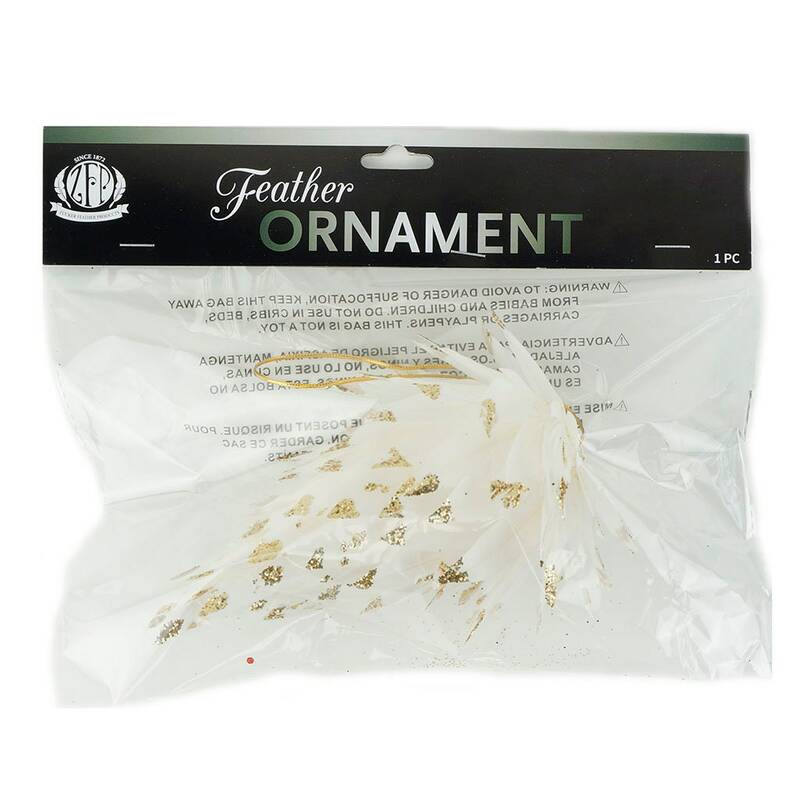 "This Feather Ornament is designed to imitate a pine cone with a modern look made with trimmed Goose Coquille feathers tipped with shimmering glitter. 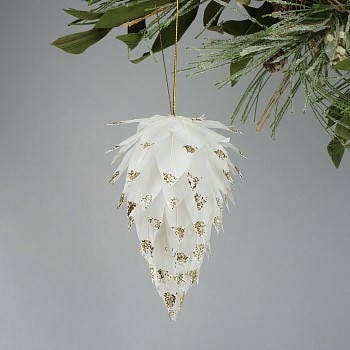 This ornament measures approximately 6 inches in the shape of a cone. 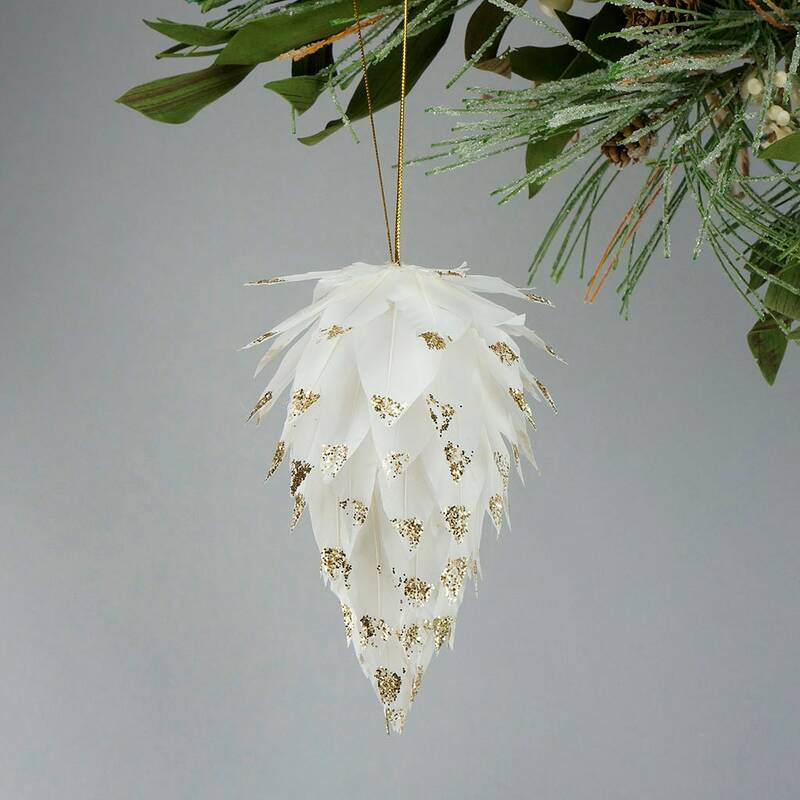 A hanging loop cord is located at the top of the ornament, but can easily be removed so the ornament can be used as a bowl filler or added to a wreath or topiary.